The most famous ace of the war, Manfred von Richthofen briefly served in the trenches before transferring to the German Air Force in 1916. Oswald Boelcke's star pupil was a fast learner and achieved immediate success. A month after receiving his first Albatros, Richthofen had six victories against Allied aircraft. As his reputation grew, the "Red Knight of Germany" painted the fuselage of his Albatros D.III bright red to flaunt his prowess in the air. The British called him the jolly "Red Baron," to the French he was the "Red Devil." He was shot down as he flew over the trenches in pursuit of Wilfrid May on 21 April 1918. 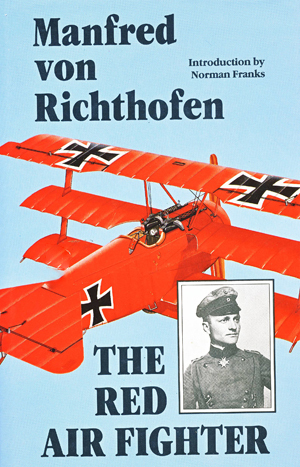 Although Roy Brown was officially credited with the victory, evidence suggests Richthofen was hit by a single bullet fired from a machine gun in the trenches. A British pilot flew over the German aerodrome at Cappy and dropped a note informing the Germans of the Baron's death. Buried in France with full military honors, Richthofen's body was later exhumed and reburied in the family cemetery at Wiesbaden.